If you’re a fan of mushrooms, rejoice! These nutritious little fungi have several known benefits to our health, including lowering your chance of heart disease, diabetes, and cancer. And now, there appears to be yet another advantage to eating mushrooms. New research shows that they may help protect the brain from degenerative conditions such as dementia. The study, which took place at the University of Malaya in Kuala Lumpur, found that regular consumption of certain types of mushrooms may be associated with brain changes that reduce the risk of developing dementia.1 After analyzing 10 different types of mushrooms, the investigators determined that they promoted the increased production of nerve growth factor in the brain, which contributes to the formation of new neurons in the gray matter, an important factor in our ability to retain and retrieve memories. What kinds of mushrooms were most beneficial? Unfortunately, not the white or button types that many of us include on salads or add to pizza. But several—including lion’s mane and reishi—were shown to actually improve cognitive functioning. And Cordyceps, which Jon Barron uses in his immune boosting formula, demonstrated anti-inflammatory effects in the brain, possibly enough to aid in staving off memory loss. The list of brain-boosting mushrooms from the study is H. erinaceus, G. lucidum, Cordyceps, D. indusiata, G. frondosa, T. fuciformis Berk, Tricholoma, T. albuminosus, L. rhinocerotis, and Pleurotus. Many of these varieties can be found in specialty grocery stores or Asian food markets. To get some idea of what each of these mushrooms offer in taste and edibility, read on. Lion’s Mane is similar in texture and flavor to seafood, so you can easily sauté it and base a great vegetarian meal around these mushrooms. Commonly called reishi, these versatile mushrooms are often used in tea. You can soak the dried mushrooms overnight, then remove them from the water and strain it. Boil the mushroom-enhanced water for flavorful tea. Another option for consumption is grilling reishi after soaking them overnight. Cordyceps is a popular ingredient in certain Chinese therapeutic soups. Often containing chicken and ginger as well, these soups are touted for their ability to strengthen the immune system, and cleanse the blood, liver, and kidneys. Reputed to be an aphrodisiac for women, this mushroom is a good source of protein and fiber. It has traditional uses in Chinese medicine and is a common ingredient in stir-fry dishes and soups. Also known as hen of the woods, this species of mushroom has an unusually delicate texture that appeals even to those who don’t find most mushrooms appealing. It is delicious sliced into large pieces and either sautéed or grilled. Another mushroom popular in China for both medicinal and culinary purposes, T. fuciformis is often used in soups with either beans or apples and figs. A form of the tricholoma mushroom is the matsutake. This is a meaty mushroom with a zesty flavor that lends itself well to steaming or grilling, and it pairs nicely with chicken or many kinds of fish. Another meaty-flavored mushroom, T. albuminosus can be consumed without cooking. Whether eaten cooked or raw, it has a crunchy texture and may be boiled, grilled, steamed, or added to soup. Called the tiger milk mushroom, L. rhinocerotis is closely related to reishi mushrooms. It is used in medicinal practice in Malaysia and is often sliced and boiled before consumption. Also known as the oyster mushroom, this is one of the more common varieties on this list. Pleurotus is used in several Asian cuisines as a stand-alone dish or in soups and stir-fry meals. Many of the positive health effects associated with these types of mushrooms are due to the presence of bio-chemicals called polysaccharides. Different variations of these polysaccharides in the mushrooms can help fight infections, prevent cancer, and improve kidney function. 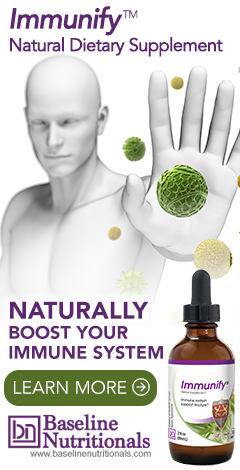 For more information on some of the medicinal properties of certain mushrooms and how you can obtain the benefits through natural supplements also, read Jon Barron’s newsletter, Why The Immune Boosting Formula Does What It Does, Part 3. 1. Chia-Wei, Phan; et al. "Edible and Medicinal Mushrooms: Emerging Brain Food for the Mitigation of Neurodegenerative Diseases." Journal of Medicinal Food. 1 January 2017. Accessed 28 January 2017. http://online.liebertpub.com/doi/full/10.1089/jmf.2016.3740. As an Oriental Medical Doctor, mostly used in China is Shitaki, Oyster, Wood or black, and several others which are great in salads. Cordyceps are way too expensive for selling anywhere at a low price (there are synthetics but not the same results) and Reishi is not easily found either although great for cancer and other serious illnesses. Many mushrooms are not allowed in some states as CA has blocked many herbals coming to this state because many wrongly used can kill a person. Looking at several mentioned in the article makes me wonder why I had to learn hundreds!! of herbs including mushrooms, we don't have them in our Asian stores here in CA, altho there might be some in SF but too dangerous to go there now. Personally we use a lot in our home in salads and soups (I make a killer Hot and Sour Soup), or just sauteed. However, best to purchase them than go mushroom hunting and killing yourself. Another I like and we use a lot in formulas is Fu Ling in its various forms. improve people's lives. Thank you for sharing!